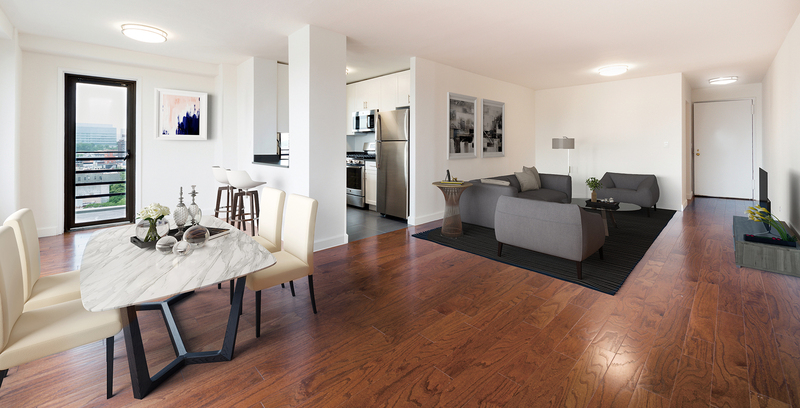 Experience carefree living in Harlem's finest apartments the moment you enter Lenox Terrace. Recent renovations have kept the history and charm of the original building but added modern touches throughout. 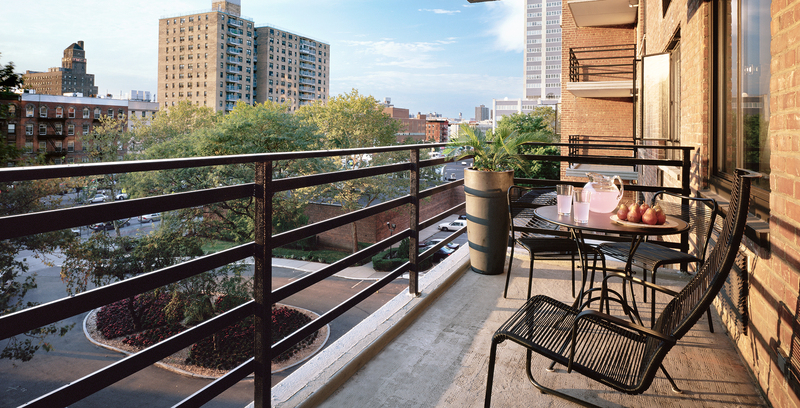 The Lenox Terrace experience includes superior amenities and services. When you call Lenox Terrace home, you’ll always feel welcome with convenient on-site parking and professional doormen to greet you and your guests. Our white-gloved doormen and attentive staff are at your service around the clock to ensure your comfort and safety. 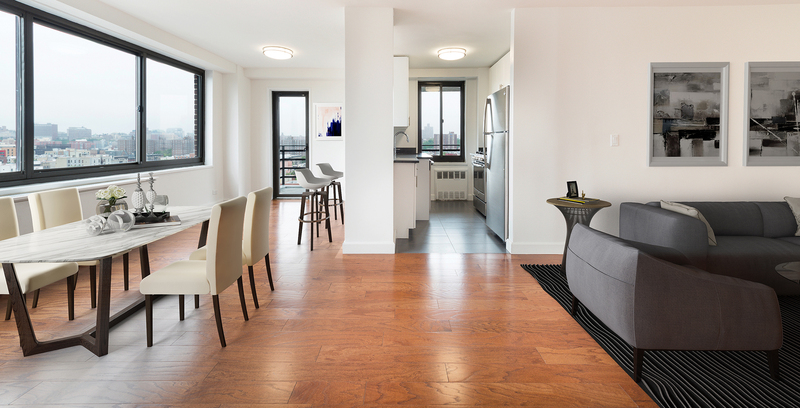 Our recently renovated living spaces are beautiful, unique, and innovative. 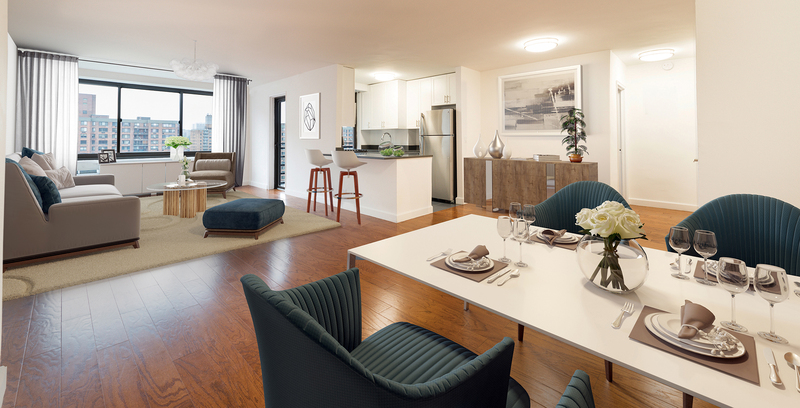 Lenox Terrace apartments offer sophisticated living spaces complemented by modern accents and warm hardwood floors. 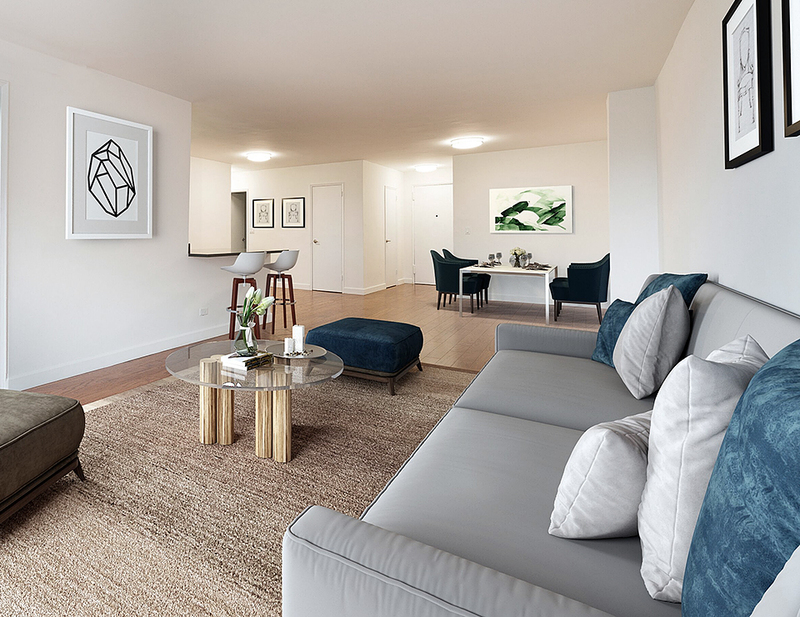 The chic and minimalist color scheme, allows you to bring out the true personality of your apartment. 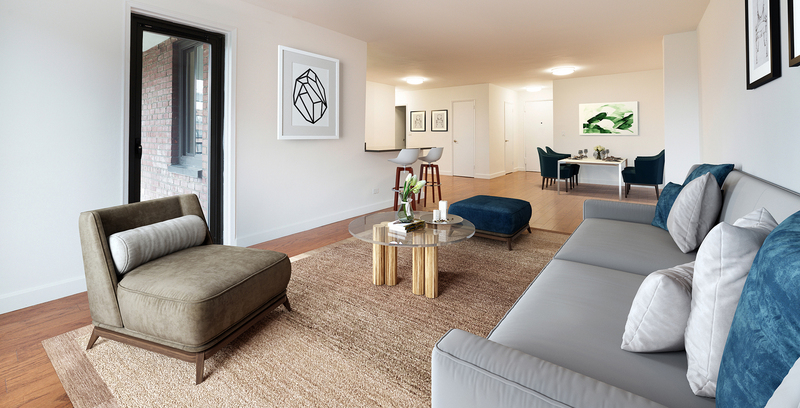 Enjoy the large windows with picturesque views that draw in natural sunlight. 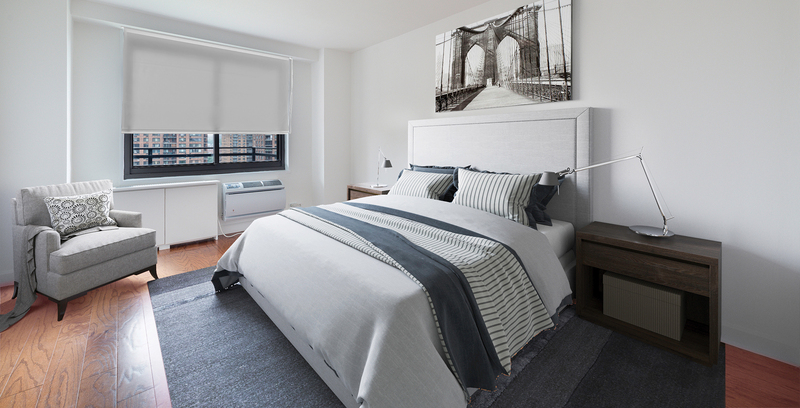 Deluxe-sized closets are featured throughout each apartment. 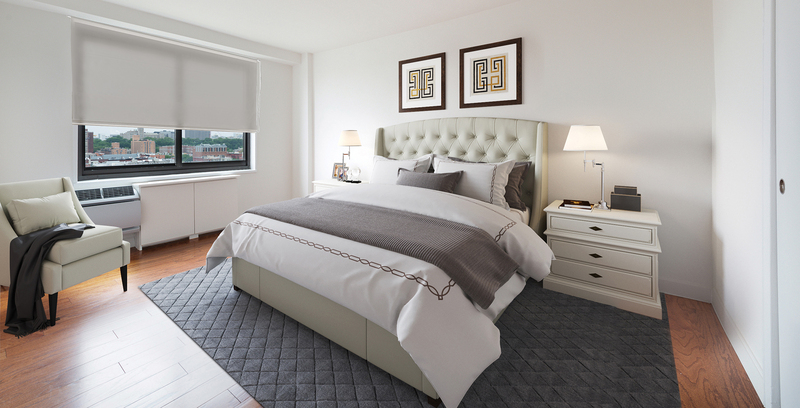 Make your home a lifestyle experience that embodies Harlem's finest living. 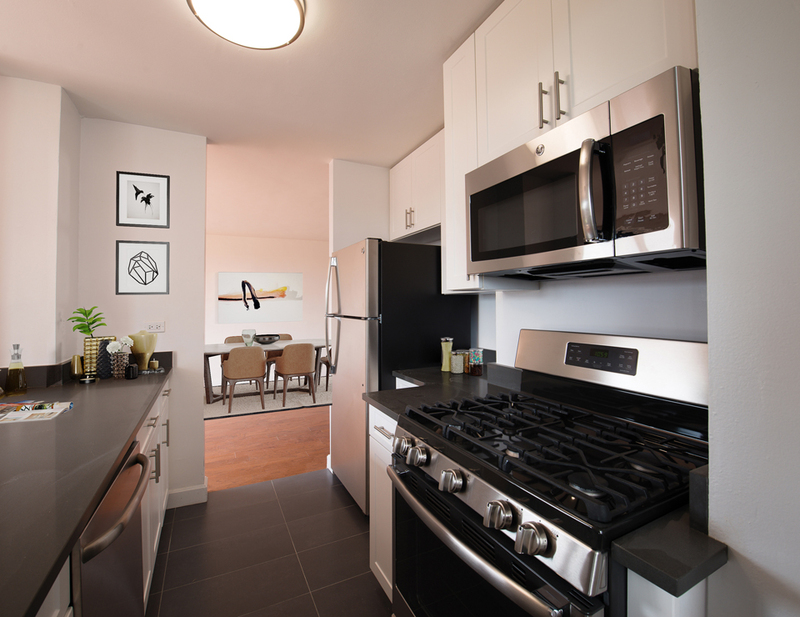 Whether you're cooking or entertaining, you’ll enjoy the simplified layout of these well-appointed, custom kitchens with stainless steel appliances. 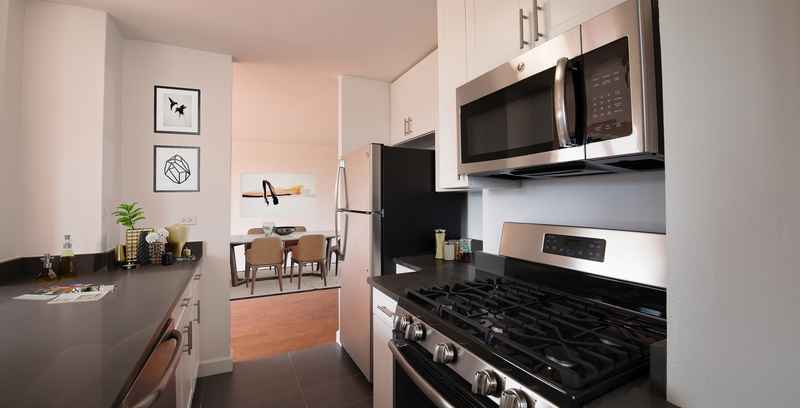 Designed to maximize the area and create a feeling of spaciousness, our kitchens add a touch of modern class to each apartment. From the abundant counter space to the premium cabinets, there is plenty of storage. 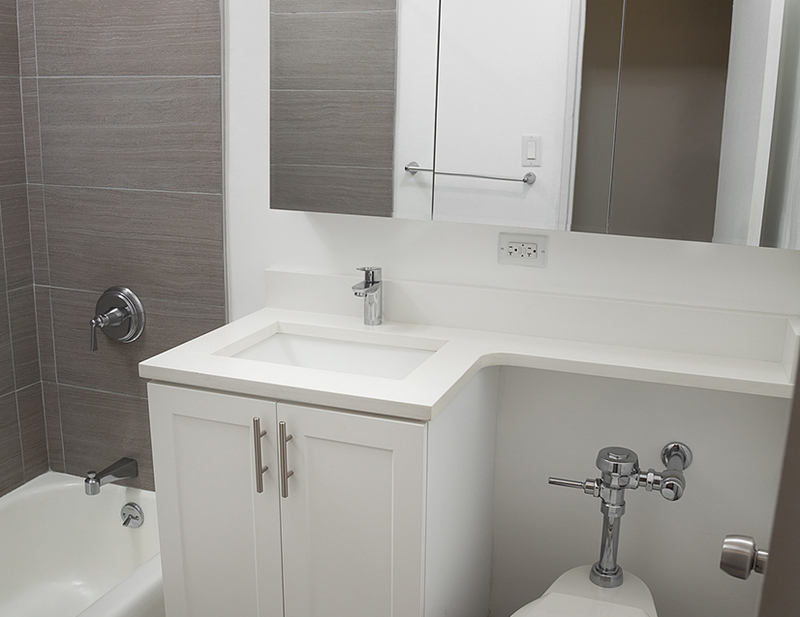 You’ll appreciate the tastefully appointed bathrooms complete with fine tile work that compliments any decor. The shower features an oversized rainfall showerhead in combination with a deep soaking tub. 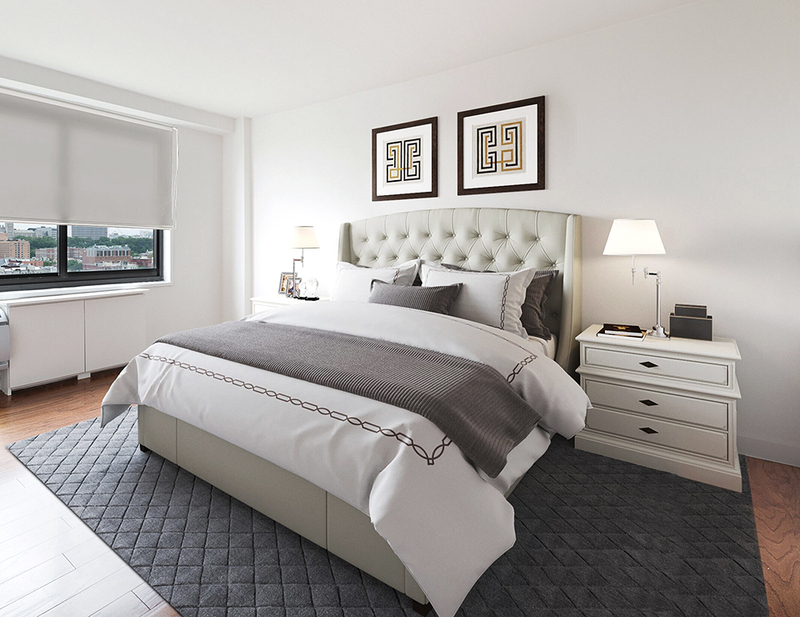 Modern amenities and fixtures create an atmosphere of extravagance.